Belmopan. June 7, 2016. The Hon. 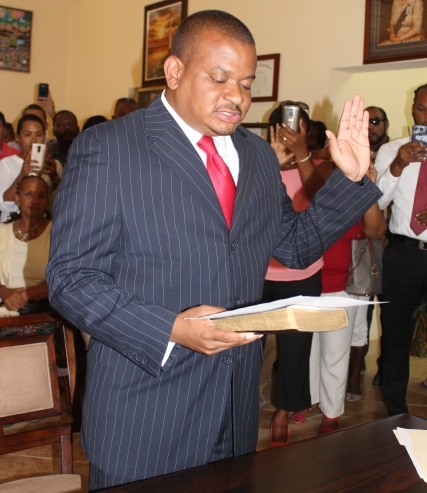 Patrick Faber was today sworn in as the new Deputy Prime Minister of Belize by the Governor General of Belize H.E. Sir Colville Young at the Belize House in the City of Belmopan. Hon. 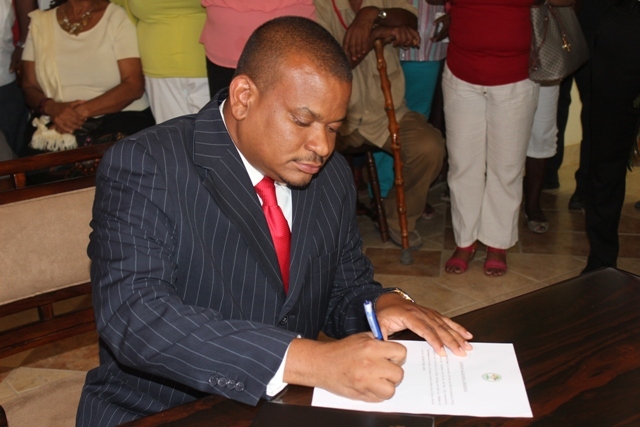 Patrick Faber was sworn in as Deputy Prime Minister after recently being elected as the new First Deputy Party Leader of the United Democratic Party. He is succeeding the outgoing Deputy Prime Minister Hon. Gaspar Vega. After being sworn in, Hon. Faber thanked all those who supported him during his bid for Deputy Party Leader. The new Deputy Prime Minister pledged his support to the Prime Minister of Belize, the Governor General and other leaders of the country as he works with them in the continuing development of Belize. Present at the ceremony were Hon. Faber’s family, friends and supporters along with members of the Cabinet and other government officials.